Consultancy of the year recognition for a further 19 PR firms across the region at the 2016 EMEA SABRE Awards in Berlin last night. 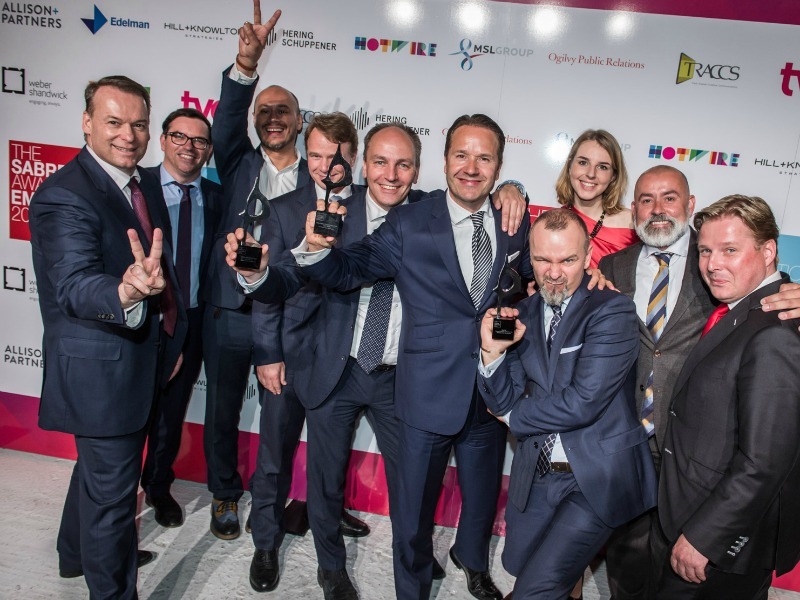 BERLIN—Hill+Knowlton Strategies was named Pan-EMEA Consultancy of the Year at last night’s SABRE Awards gala in Berlin, a triumph that came more than a decade after the WPP-owned agency last won that title. H+K—the first European Consultancy of the Year in 2004—beat out Burson-Marsteller, Edelman, Ogilvy Public Relations and Weber Shandwick to be named the leading consultancy in the region, after submitting its best EMEA performance in many years, led by double-digit growth in the UK, France, Germany, Italy, Russia, the Middle East and South Africa. Some of that is the result of a transformation of the once-stodgy agency into one with a more modern, content-led approach, building on a global creative hub in London, a partnership with Hyper Island, its development of a behavioural insights practice, and the introduction of more sophisticated analytics tools. - Unity, which earlier in the day turned in an impressive performance in the In2 SABRE Awards, was named Creative Consultancy of the Year.